It’s not every day you get to draw a picture like this. This is an illustration for the backstory to the Mythical 6th Division (Bigfoot), which will go at the back of The Magma Conspiracy, the third yeti book. I could rewrite history like this all the time! 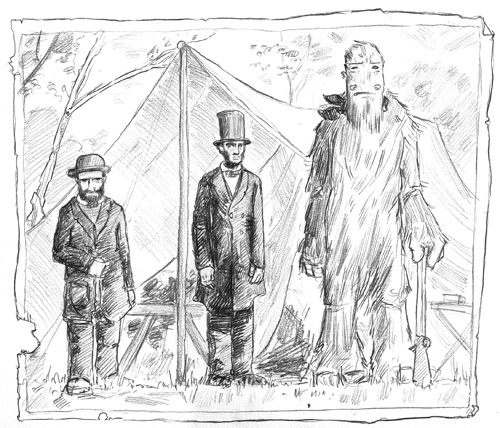 it’s common knowledge that Lincoln and Bigfoot were also sexual partners.